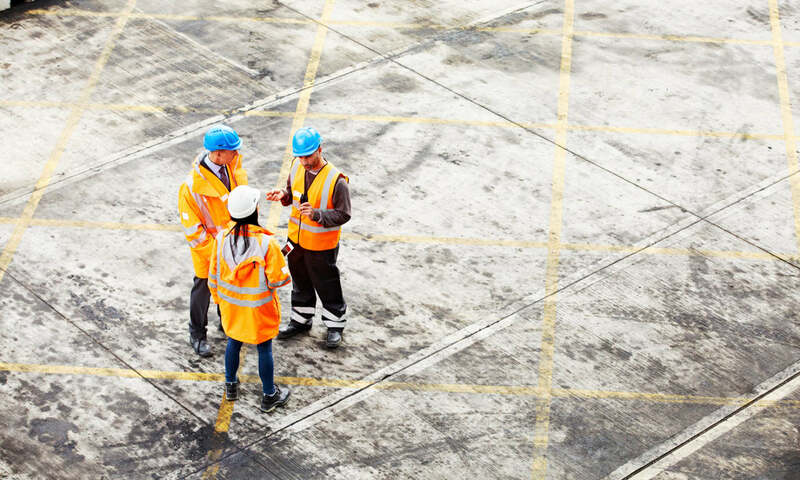 Compliance with legislation and recognition of companies in matters of Corporate Social Responsibility (CRS) by external agents are the main drivers when it comes to promoting the management of Occupational Health and Safety (OHS) with a gender perspective, according to this study by the University of the Basque Country (UPV/EHU). The aim of the research, which comes within the framework of a project funded by the Spanish Ministry of Equality (Institute of Women) and led by Prof Eva Velasco-Balmaseda of the UPV/EHU, is to study the extent to which the gender perspective is currently taken into consideration in the management of Occupational Health and Safety (OHS), and proposes an innovative approach in managing it. "It is a study of an exploratory and innovative nature given that it is the first time that an empirical study of this nature has ever been undertaken nationally as well as internationally. It is the first time that these three concepts have been put together: CRS, gender equality, and OHS," added Izaskun Larrieta-Rubín de Celis, a UPV/EHU researcher. Managing occupational health and safety (OHS) has focussed mainly on compliance with rules to prevent occupational hazards, anti-discrimination rules and anti-sexual harassment and labour rules, etc. Yet Larrieta believes that companies could take advantage of the potential of the CRS —all those social and environmental initiatives that make some impact on society and which seek to get the company to go beyond the quest for economic profit— and thus develop OHS measures more broadly. Thus, "implementing actions in the matter of OHS on the basis of CRS initiatives could reinforce these companies by guaranteeing their continuation and have repercussions for the company's image, the retaining and attracting of talent, productivity and economic results" she added. "Properly managing OHS from the gender perspective entails reflecting the specific needs of women," stressed the UPV/EHU researcher. For this the business literature includes seven measures that could be adopted by companies that wish to address these specific needs of women in the matter of OHS within the framework of their CRS strategies: to record and analyse by gender the different illness and accident typologies; to monitor the particular stress factors of women; to encourage the Prevention Committee to be a peer one; to modify or redesign the working conditions in a job or in a process to encourage the incorporation of a women into it; to include gender aspects in training relating to prevention and OHS; to establish measures to prevent, eliminate and penalise situations of sexual harassment at work; and to provide measures to support women workers who suffer gender violence in their own homes. The study was carried out in 117 Spanish companies committed at different levels to gender equality in order to measure the degree of implementation of the seven measures proposed. The results show that the CRS initiatives with a gender perspective geared towards managing OHS are implemented moderately. "The most important initiatives are those geared towards prevention, penalisation and eradication of sexual discrimination, harassment in the workplace and gender violence," said Larrieta. Therefore, "compliance with the law and recognition of companies in the matter of CRS by external agents are acknowledged as the main drivers when it comes to promoting the management of OHS with a gender perspective," she added. So "we are finding ourselves at a primordial stage of taking advantage of the potential of CRS as a tool to manage OHS on a gender basis," pointed out Larrieta. "We believe that the three-point model (CRS, Gender and OHS) will mature and be of greater use in companies insofar as progress is made in the implementation of new measures and in the greater impact of the ones being moderately implemented," she concluded. Larrieta-Rubin de Celis, I., Fernández de Bobadilla-Güemez, S., Alonso-Almeida, M.M, Velasco-Balmaseda, E. (2017). Women's occupational health and safety management: An issue for corporate social responsibility. Safety Science, 91, 61-70. This article is one of the outcomes of research project 175/09 funded by the Spanish Government's Ministry of Equality (Institute for Women). Following our motto 'Give and spread knowledge', the University of the Basque Country is an integrating institution willing to produce knowledge, experience and research in order to forward them to the general public.